How Can One of the Foremost Utility Experts In America Not Receive A Call From The Search Committee If the Process Is Not Fixed? 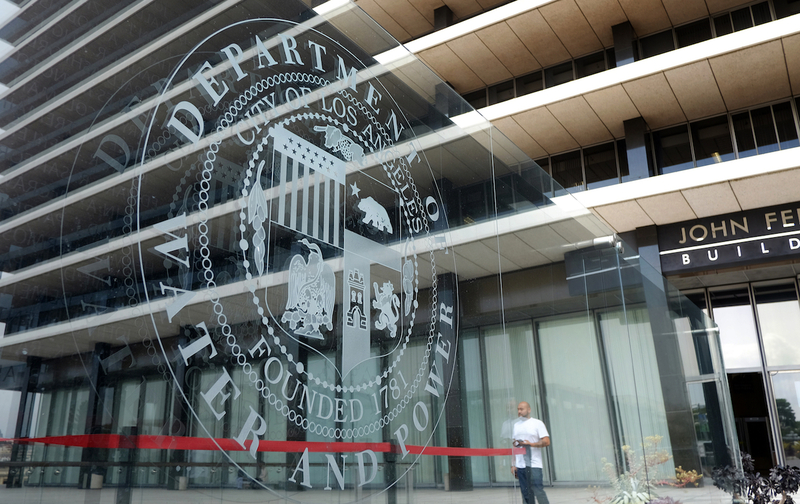 Los Angeles, CA — Consumer Watchdog today called the process of picking a new ratepayer advocate to head the Office of Public Accountability at the LA Department of Water and Power biased and called for an immediate investigation by the LA City Controller. “We write with evidence of misconduct in the selection of a new Ratepayer Advocate and call upon Controller Galperin to investigate immediately,” Consumer Watchdog's Jamie Court and Liza Tucker wrote in a letter to Mayor Eric Garcetti and City Controller Ron Galperin. “The search committee process for replacement shows that one of the most qualified candidates for the position and foremost experts on utility matters in the state has not been contacted at all despite the fact that a final decision on the position is imminent,” the letter continued. “It’s shocking that the former Chair of the Assembly Utilities Committee, Mike Gatto, would not receive a phone call, let alone an interview with the Citizens Committee to replace Mr. Pickel, despite being one of the most knowledgeable experts in the state on utility and ratepayer matters. He has authored numerous consumer protection laws and provided oversight of the Public Utilities Commission and state’s utilities. As you know, Mr. Mayor, your appointees and those of the City Council comprise the search committee. Consumer Watchdog pointed to the latest example of lack of ratepayer protection by the ratepayer advocate. “Just recently, we received the attached letter from a whistleblower about an apparent City - LADWP boondoggle over vast, unused DWP office space with rents paid to the City coffers. “As you may know, the LADWP rents four floors from the City at 221 North Figueroa, which has been criticized as an above-market transaction. Our staff paid the building a visit to verify what the whistleblower alleges—that LADWP ratepayers are funding the rental of space in the building to generate income for the city when the space is not really needed. We discovered the lobby’s building directory for that address was blank. "The floors supposedly occupied by the DWP or city divisions serving it were sparsely populated at best. “DWP’s customers currently have no ratepayer advocate to turn to for a fair accounting of such matters. That’s scandalous and must be changed. Consumer Watchdog Calls For Audit By City Controller Of Tainted Process In Search for New LADWP Ratepayer Advocate from Consumer Watchdog on Vimeo.